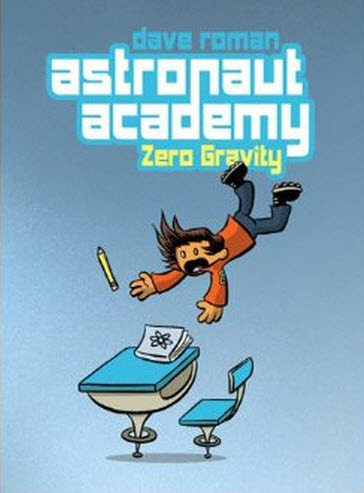 The upcoming Austin SCBWI Graphic Novel Workshop on Saturday, October 5 promises to be a day for writers and illustrators, writer-illustrators and anyone interested in exciting alternative literary forms for children, teens and young adults. OK, plenty of adults read them, too. Webcomics creator, animator, digital content creator and our SCBWI (Society of Children’s Book Writers and Illustrators) chapter’s intrepid webmaster Erik Kuntz of Square Bear Studio talked with me about graphic novels, why they matter and what workshop attendees can expect from what could well be the first SCBWI conference devoted solely to graphic novels that we know of. You can see the full playlist of Erik’s and my video discussion of the workshop and the art form here. Austin is a natural location for such a workshop, having been home to many notable cartoonists and comic book artists in their earliesh careers, including William Sidney Porter (otherwise known as the short story writer “O. Henry” who illustrated his Austin humor newspaper The Rolling Stone with a lot of his own humorous line art; Roy Crane, who pioneered the ‘adventure comic strip’ with Wash Tubbs, Captain Easy and Buz Sawyer, Gilbert Shelton, who also attended the University of Texas at Austin and conjured the Wonder Wart Hog and The Fabulous Furry Freak Brothers in some of the first ‘underground comics’ of the early 1960s — and children’s book author-illustrator Berke Breathed, famous for the Pulitzer Prize winning Bloom County strip of the 1980s, ten years after he did his first comic strips for the University of Texas at Austin student newspaper The Daily Texan. The workshop will occur on the St. Edward’s University campus at 3001 South Congress. Registration tables open at 9 a.m. and you can also register online and read more about the workshop here. You can check out Erik’s own webcomics series, Hex Libris here. Enjoy the interview of Cynthia in Cynsations by Austin SCBWI regional advisor Samantha Clark about her work in graphic novel and this Q&A style post, Graphic Novels: What are they and why should I care? on the Austin SCBWI website. Mark Mitchell, who wrote wrote this post teaches a children’s book illustration class at The Contemporary Austin Art School at Laguna Gloria and his online Make Your Splashes – Make Your Marks! course. Click on the below image to enjoy the recent presentation by author- illustrator CS Jennings. Have you drawn in your sketchbook today? It’s a question that humbles every aspiring children’s book illustrator. But in our “high touch era” where the handcrafts site Etsy numbers near the top of online marketplaces and scrapbooking became so cool that it inspired the social media phenomenon known as Pinterest, sketchbooks and the art of filling them are no longer restricted to fine artists and commercial artists and hobby painters. It’s a more general cause celebre and maybe even a craze, if popular blog groups like SketchCrawl, Urban Sketchers and Everyday Matters are an indication. Since 2009 the Brooklyn Art-House Co-Op has been gathering up sketchbooks and sending them on national tour in a traveling library. This year the effort extended across the Atlantic to include London. Hence the name, 2012 Sketchbook Project World Tour. “The Sketchbook Project is a global, crowd-sourced art project where participants from all walks of life are sent a sketchbook and have until January 15th to fill the pages and return it for inclusion in a traveling exhibition and permanent collection at The Brooklyn Art Library,” the co-op’s website says. You can see some 500 photos on the Facebook page. And some more cool photos in this Instagram gallery on Tumblr. Our children’s picture book critique group under the Austin (Texas) Chapter of the Society of Children’s Book Writers and Illustrators (SCBWI), the Inklings decided to take part in this year’s tour with a group sketchbook mosaic. Austin (September 12-16) was the last North American stop before the books moved on to London. Starting from Brooklyn they’d already traveled to Chicago, Portland, Vancouver, Los Angeles, Oakland, Lynn, Portland (Maine), Toronto, Philadelphia, Atlanta and Orlando. Co-Lab Project Space on Allen Street in East Austin was converted into a library replete with signage, computers, workers, loaded bookshelves and waiting lines. According to the Brooklyn ArtHouse archive, 2,435 books were checked out and viewed during those four days in Austin and 300 new Sketchbook Project library cards were issued. The sketchbooks, new ones will be back in Austin next year — at Co-Labs again and at the SXSW Festival scene on March 15-17 for the 2013 World Tour. Maury Tieman, Martha Carleton, Mark Mitchell, Joyce Chambers-Selber and Allissa Chambers of the Austin SCBWI Inklings — with “Willie Lisa.” Other “Inklings” who participated in the mosaic project included Margaret Jonon Buford, Martin Fry, Ann Hartman, Jeff Crosby and the late Louise Shelby. The biggest news of recent weeks? No, it wasn’t the U.S. presidential election. It was Disney buying LucasFilm/LucasArts and all Star Wars rights for $4 billion. Here’s a Forbes take on the purchase and more particulars and videos from Mashable. It means more Star Wars movies to come, a re-thinking and possible scrapping of Star Wars games currently on the boards and a new (apparently long overdue) Disney line for boys. No, Star Wars didn’t start off as a children’s book, but it could have. The Disney purchase evidences the staggering value of an intellectual asset and of what sometimes can happen when a story with good characters ascends to the status of a meme. This was not a freak occurrence, either. In 2009 Disney paid $4 billion for Marvel Comics. The merger takes the “Big Six” down to five: Random House Penguin, Hachette, Holtzbrinck/Macmillan, HarperCollins, which is a subsidiary of Rupert Murdoch’s News Corporation and the CBS owned Simon & Schuster — with those pesky 21st century publishing upstarts Amazon, Apple and Microsoft nipping at their heels. November is Picture Book Month and author Dianne de Las Casas with co-founding author-illustrators Elizabeth Dulemba, Katie Davis, Tara Lazar and Wendy Martin have assembled this this delightful blog where author-illustrators guest post and the joys and significance of this peculiarly demanding literary art form. November is also Picture Book Idea Month, if you didn’t know. It’s what PiBoIdMo stands for, writes children’s author Tara Lazar. “Tired of novelists having all the fun in November with NaNoWriMo [National Novel Writing Month]? That’s why I created PiBoIdMo, as a 30-day challenge for picture book writers,” she says. “The concept is to create 30 picture book ideas in 30 days. You don’t have to write a manuscript (but you can if the mood strikes).” The PiBoiMo part of Tara’s blog is loaded full with super “process posts” and tips from practitioners, along with some great author-illustrator “war stories” that will move and inspire you. On the storm front, Chronicle Books editor Melissa Manlove is offering what is truly a once-in-a-lifetime opportunity for an aspiring picture book author — a FREE PASS to one of her company’s editorial meetings, along with a private critique before yourstory goes to the meeting. It’s one of many neat auction items touted for KidLit Cares, a Hurricane Sandy relief effort. Read all about it on organizer and children’s book author Kate Messer’s blog. Caldecott honor-winning illustrator E.B. Lewis will keynote the conference, Kick It Up a Notch as well as conduct a special illustrators’ intensive on Sunday after Saturday’s main event. In the video below Lewis speaks compassionately on his painting exhibit Lotto Icons, which began as scribbled ideas in his (what else?) sketchbook. Award-winning author-illustrator Mark Mitchell wrote this post. Get on the blog mailing list and see some short videos on “the best secret” to good drawing. Do you find it interesting, as I do that the big commercial for Google’s Nexus 7 features a little girl and her mom reading a Curious George story on the device? Google, in its elegant way used a simple illustrated page from a classic children’s picture book series to introduce its new tablet to the world. Watch Pooja Srinivas’ video presentation, Google+ for Artists and Illustrators — and discover how to network, find and build community, extend your reach and promote your art and illustration with free Google+ tools. Go here for Pooja’s superb 80 minute workshop. Children’s book illustrators, artistrators, writers — if you live within reach of Texas, open your calendars. These guys kind of say it all. Animator, online comics creator Erik Kuntz (who’s also Austin SCBWI chapter’s webmaster) wrote created this animation using XtraNormal. Briefly, the Second Annual Austin SCBWI Digital Symposium is set for Saturday, October 6 at St. Edward’s University in Austin, Texas. Author/publisher marketing consultant Kirsten Cappy of Curious City is one of several featured faculty guests. (Definitely a curiosity theme running through today’s post…) For a schedule and details on the workshop and presenters, go here. Children’s book author-illustrator Mark Mitchell, penned this post and did a short video on the “best drawing secret” that you can see here. What the heck is an e-book, anyway? Briefly, the Second Annual Austin SCBWI Digital Symposium is October 6 at St. Edward’s University in Austin, Texas. But for the schedule and more details on the workshop and presenters, go here. Watch Pooja Srinivas’ video presentation, Google+ for Artists and Illustrators — and discover how to network, find and build community, extend your reach and promote your art and illustration with free Google+ tools. 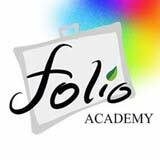 Go here for Pooja’s superb 1.3 hour workshop. Children’s book author-illustrator Mark Mitchell is also the author of this post. See Mark’s short video about the “best drawing secret” here. Children’s book author-illustrator Jeff Crosby (Wiener Wolf, Disney-Hyperion) was talking with young students of the Austin Independent School District the other day — and he let them tell him a story, while he illustrated their scenes. A bit of a high wire act, yes but he pulled it off with his usual calm and cleverness. You can see the story somewhere in the following slide show. The slides include some of Jeff’s original sketches and paintings from Wiener Wolf as well as for Little Lions, Bull Baiters & Hunting Hounds (Tundra Books) that he wrote and illustrated with his wife, author-illustrator Shelley Ann Jackson. The event was for a birthday bash of sorts, 100 Years of School Libraries in Austin. Congratulations to Melissa Sweet — winner of the 2012 Society of Children’s Book Writers and Illustrators (SCBWI) Golden Kite Award for Picture Book Illustration, for Balloons over Broadway: The True Story of the Puppeteer of the Macy’s Parade (Houghton Mifflin Harcourt, 2011), a picture book biography that was five years in the making and has won several other awards. And congratulations to Juana Martinez Neal, Grand Prize winner, and Mary Jo Scott, Nancy Armo and Mary Lundquist, honor winners in the Summer Conference Portfolio Contest. The awards were presented at the conference Sunday luncheon in Los Angeles. Does the Russian animator Alexander Petrov know a thing or two about using thumbnail sketches to build his stories and move them forward? Of course he does! Read about this and see his complete Academy Award – winning animated film, The Old Man and the Sea (20 minutes), based on Ernest Hemingway’s short novel here on the Illustration Course blog. On your mouse, get set…go! Austin SCBWI’s Digital Symposium II: Nuts and Bolts of Success is a hands-on technology workshop for illustrators and authors of all techie levels. Be it blogging or beveling, tweeting or technique sharing, hyperlinking or hashtagging, the intention of this symposium set for October 6 at St. Edward’s University is for the participants to leave with new skills to add their technological tool belts. You can download the full packet here, which includes conference info and an off-line registration sheet. Learn drawing and painting the fun way this summer. 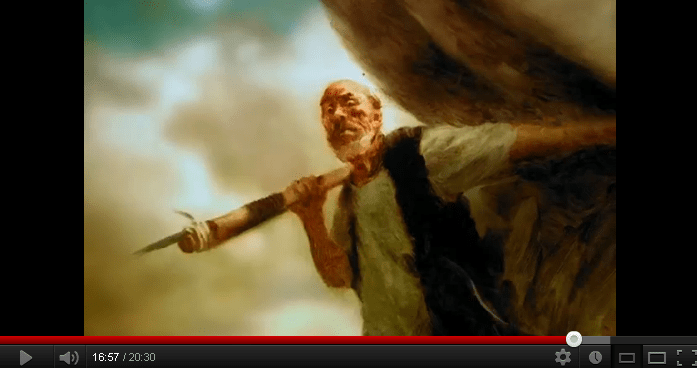 Take Mark Mitchell’s self-paced, online course Make Your Splashes – Make Your Marks! 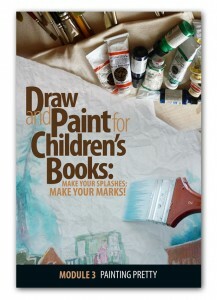 It teaches a dynamic approach to illustrating children’s books using traditional painting mediums. Discover a great secret about drawing (four videos) and find more details about the course here. Illustrators, writers, quite inspired, how do your stories grow? was the theme for the 2012 regional conference of the Houston Society of Children’s Book Writers and Illustrators (SCBWI) back in March. The weekend featured a most inspired and prolific storyteller-artist Dan Yaccarino along with editors, agents and one art director, Susan Sherman of Charlesbridge Publishing. Jennifer Rofe, literary agent with the Andrea Brown Literary Agency discussed The “So What?” Factor. Susan Sherman showed Pictures That Make the Words Work and Dial Books for Young Readers editor Heather Alexander walked the crowd through a document used by the department heads at Penguin’s Young Readers Group to evaluate if a dummy/manuscript is a go or no go in The Hard Sell: How Publishers Sell Your Manuscript In-house and Out. This all before lunch. Editors Jenne Abramowitz of Scholastic, Connie Hsu of Little, Brown Books for Young Readers kept us awake all afternoon in their talks on writing and and book concepts. Kathleen Ortiz discussed author web sites. For illustrators, this bracing counsel from Dan Yaccarino in his answer to a question from the assembly (and I’m paraphrasing): Don’t spend your time working for small presses or author self-published projects. Aim for the big houses, the major trade book assignments, the important work. ASAP. Congratulations to author Gwen Christie and illustrator Paul Wrangles of England for winning the 2012 Winter InteractBooks competition with their interactive digital book The Champion Hare. First Place winner of the InteractBooks Winter interactive digital book-building contest, “The Champion Hare” by Gwen Christie and (illustrator) Paul Wrangles. CEO Ezra Weinstein announced the first place through fifth place winners (there was a tie for third place) for the winter contest in a live webinar broadcast. See the recording with news about the 2012 spring contest and an upcoming class series on building interactive books for electronic tablets, using the new 3.0 InteractBuilder software. Check out the covers of all the winning books on the InteractBook Facebook page. A couple of years ago editor and publisher Stephen Roxburgh put his thoughts together on the “e-Future” — for a talk he was to give at the Austin SCBWI regional conference. He’s updated it since then and in April Horn Book magazine featured his essay that offers a remarkable snapshot of the publishing industry at the crossroads. If the topic of e-books interests you, you’re in for a great read. In this interview by Takoma Park. Maryland librarian Karen McPherson, distributed by the Scripps Howard News Service, Peter Sis, the winner of this year’s Hans Christian Andersen Illustrator Award, talks about three phone calls that changed his life. A call from editor Jacqueline Kennedy Onassis at Doubleday led him to writing and illustrating a book about growing up in his native Czechoslovakia. Sis, who once made an animated films and later illustrated for the New York Times, mentioned the three life-changing calls in his acceptance speech for the award. The Hans Christian Andersen Awards were announced by the International Board on Books for Young People (IBBY) at the Bologna Children’s Book Fair in March. You can learn more about the awards and this year’s other winners here. You might also enjoy this short audio in which Peter Sis tells interviewer Susan Viebrock how growing up in a communist state has informed his books, themes and artwork. You can listen to the audio here. As news of Maurice Sendak’s passing settles down it might be time to reflect a little on his scruffy, straightforward, exquisite cartoon art and what it’s meant to two generations. Here are some resources to consider. 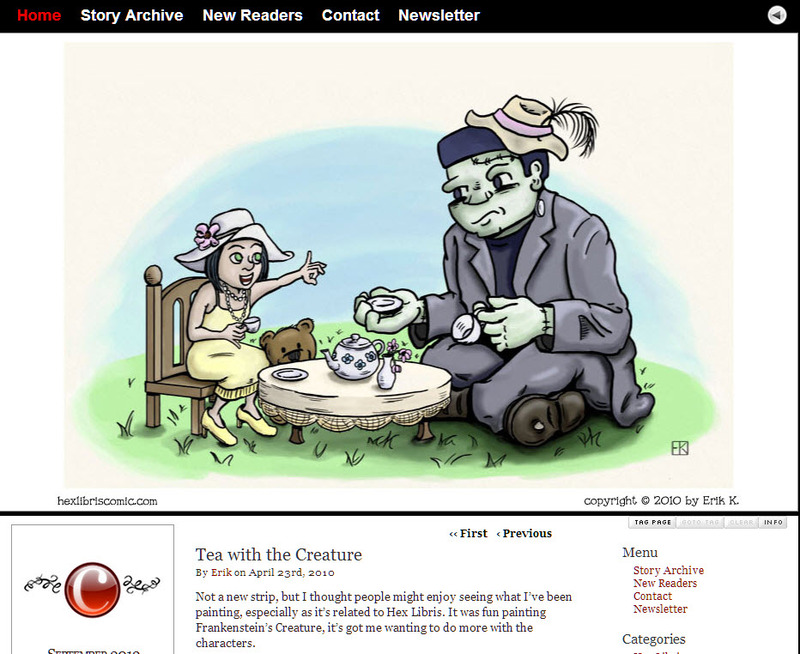 The Horn Book has assembled this compendium of Sendak articles and interviews. If you haven’t already seen it here’s the loving New York Times Books Page feature that’s rich with biograhic detail. “Maurice Sendak, widely considered the most important children’s book artist of the 20th century, who wrenched the picture book out of the safe, sanitized world of the nursery and plunged it into the dark, terrifying and hauntingly beautiful recesses of the human psyche, died on Tuesday in Danbury, Conn. He was 83… ” the obituary leads off. I enjoyed this this CNN interview with novelist Gregory Maguire, author of Wicked: The Life and Times of the Wicked Witch of the West about Sendak, whom Maguire personally knew. The SCBWI International website has put up this page honoring him. The UK Guardian published this appreciation by author-illustrator Shirley Hughes. Readers’ comments under her essay amuse and provoke. How has the art of Maurice Sendak affected you in your life? What’s your PB Dummy Challenge? Chances are you’ll see your issue addressed in the Picture Book Dummy Challenge series that’s been going on all year over at the #KidLitArt blog. You’ll enjoy this latest process post by Aaron Zenz on that critical stage of producing the final art for your picture book. Zenz shows how he’s willing to re-do a painting or try a new concept — sometimes more than once — if that’s what it takes to delight his editor, publisher, or client. The post is filled with ‘case studies’ and Zenz’s appealing artwork from these assignments. But I can vouch with complete objectivity for the #kidlitart chats that Martin and Adamson host every Thursday night (U.S. Time zones) and are open to anyone on Twitter. 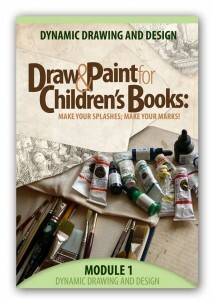 Each chat is based on a theme important to children’s illustrators. Each chat provides a fine opportunity to hunker down with your picture-making colleagues, published and aspiring. If you miss a live session you can always catch the transcript archived on the blog. Austin, Texas sure likes digital storytelling for children. Registration has opened for Austin SCBWI’s Digital Symposium II: Nuts and Bolts of Success, a hands-on technology workshop for illustrators and authors of all techie levels. Set for Saturday, October 6, once again this year at St. Edward’s University’s Fleck Hall. Read more. Yes, we’re exploring the art and cunning of the Disney animators over at the Illustration Course blog. The latest video post shows how Walt Disney and his team turned the Rudyard Kipling stories sideways and added songs for their animated version of The Jungle Book. Part1 of an absorbing documentary. Find out about a self-paced online course to seriously empower you in your drawing, painting and children’s book illustration. Discover a way to righteously better drawing. These free videos show you the secret.